You can tell when the holiday party and gift-giving season are approaching when more and more alcohol billboards start to grace the skies. 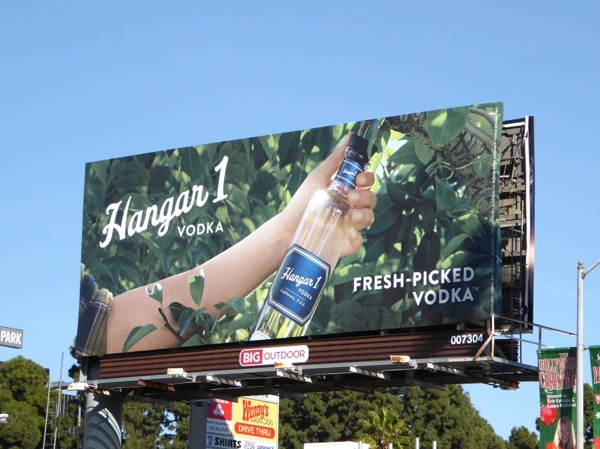 Daily Billboard doesn't recall seeing any outdoor ads before for Hangar 1 Vodka and as they're not traditional festive-themed billboards for this time of year, this tongue-in-cheek 'fresh-picked' ad campaign stands out even more. 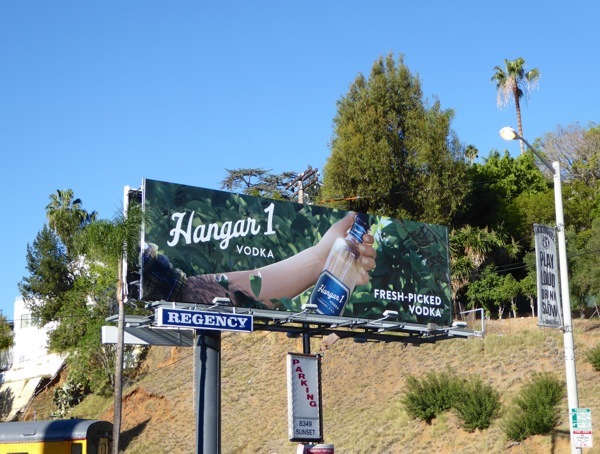 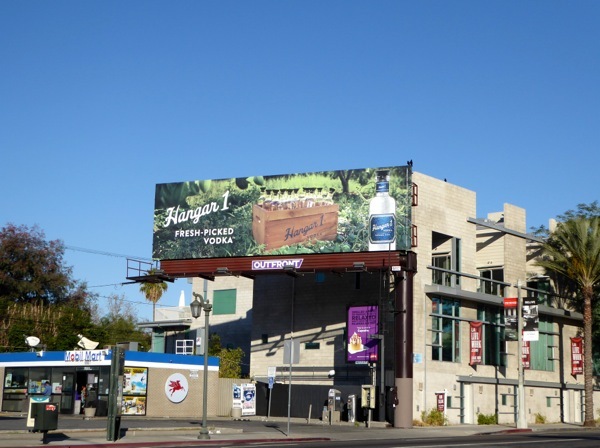 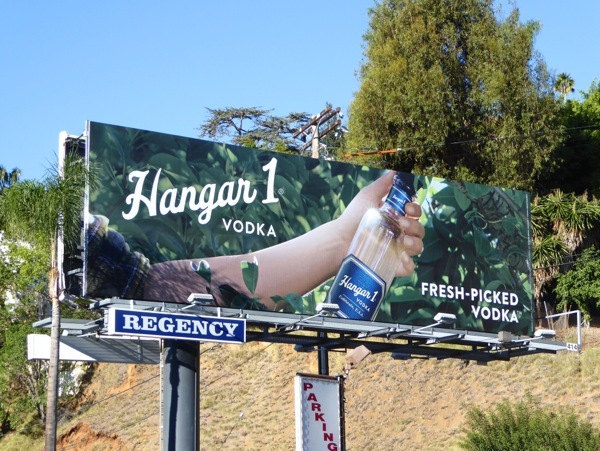 These fun Hangar 1 Vodka billboards were first snapped along Sunset Boulevard at La Brea Avenue, then later along Melrose Avenue and further west along the Sunset Strip through November 20, 2015. 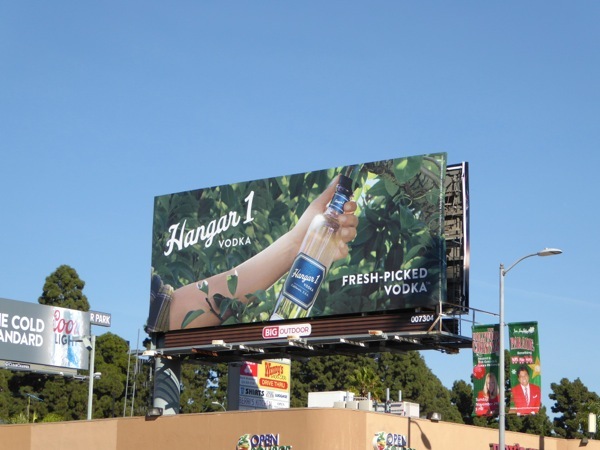 Be sure to also compare this outdoor ad campaign to these other vodka brand billboards from recent years. 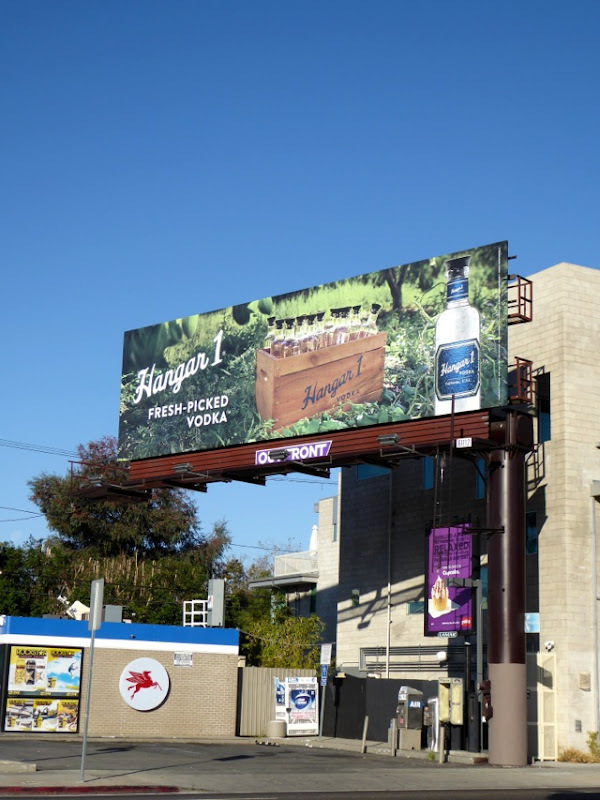 Today is Daily Billboard's birthday and vodka is our favourite tipple, so if only a fresh-picked crate of Hangar 1 could appear to quench our thirst and help with cocktail time. 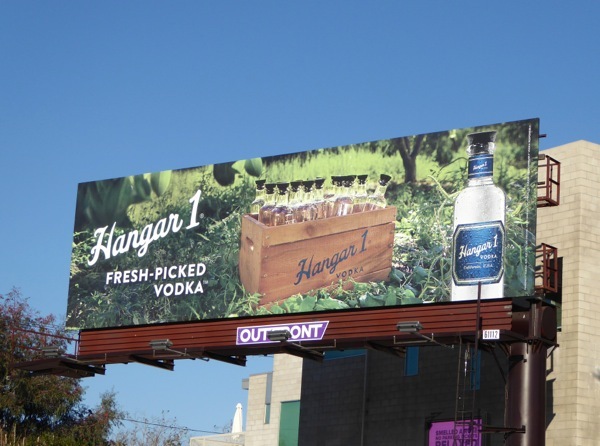 Regardless, let's hope everyone is having a very merry festive season whatever they're drinking.